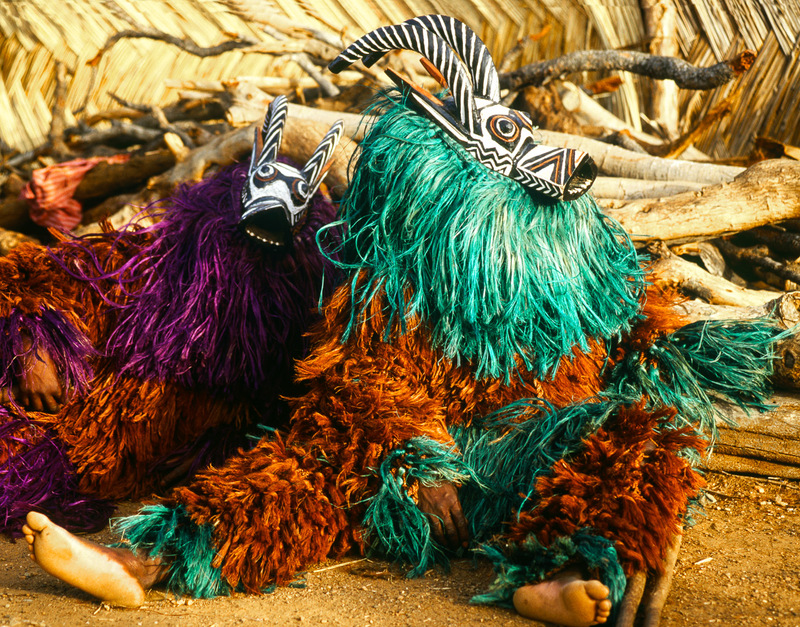 Two reclining antelope masks rest between dances. For the duration of the afternoon and evening, the masks dance among the crowds to remove any vestiges of negative energy that have accumulated in the community since the last harvest. The dance steps are extremely complex and must be danced correctly to ensure prosperity and avoid disasters.